China will further boost the training and number of preschool teachers to offer safer, cheaper and more convenient early childhood education, a senior official said on Friday. 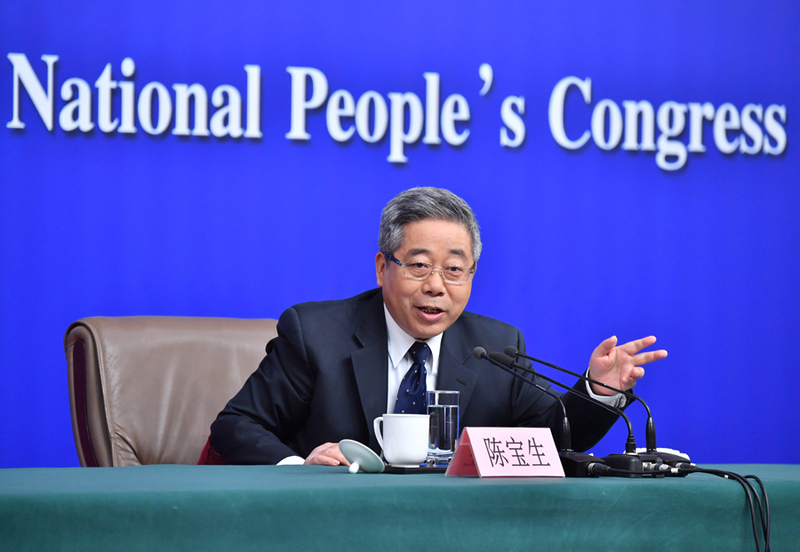 "While we're still working on the enrollment rate for children of preschool age, people are now demanding preschool education of better quality," Chen Baosheng, minister of education, said at a news conference on the sidelines of the annual legislative session. The development of preschool education lags behind the demand, he said. The Ministry of Education has been pushing forward two action plans in developing preschool education since 2016, and the number of kindergartens across the country has grown to 255,000, but only 67 percent are lower-priced, affordable kindergartens. Chen said there are plans to increase the proportion from 67 percent to 80 percent by 2020. "Most parents hope to send their children to a kindergarten in the surrounding district and at affordable fees," he said. "Yet the challenge facing us is that we still lack enough public kindergartens or affordable private kindergartens to meet the demand, and the number of kindergarten teachers and caretakers is still inadequate, and their professionalism needs to be improved." China, with 46 million preschool children, has a shortage of 710,000 kindergarten teachers and 760,000 caretakers based on the proportion of one teacher for 15 children and one caretaker for 30 children, according to the ministry. "The shortage of teachers and caretakers is expected to reach 1 million and 900,000, respectively, by 2020," Chen said. The country will continue to increase salaries for kindergarten teachers so that college students majoring in preschool education will not opt for another profession, he said. 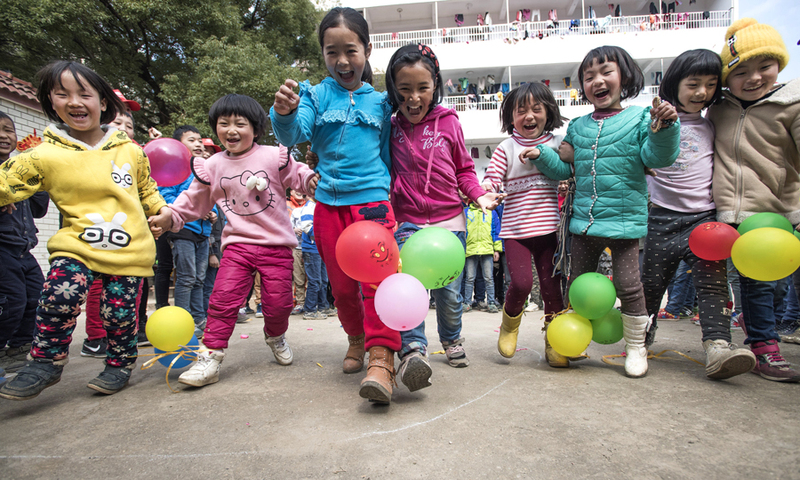 In 2016, China spent 280 billion yuan ($44.3 billion) on developing preschool education, bringing the cumulative average increase for annual preschool spending to 16.9 percent in recent years, ministry data shows. Preschool education has received a great deal of attention from the public in recent months, after a number of child abuse allegations were reported in kindergartens across the country. In one case, a female teacher, surnamed Liu, from RYB Education New World Kindergarten in Beijing, was arrested in December after the procuratorate of Beijing's Chaoyang district accused her of using needles to "discipline" children. Some national lawmakers and political advisers have also put forward proposals on improving preschool education during this year's two sessions, urging related legislation and more qualified kindergarten teachers. In response, Chen said on Friday that legislation on preschool education will be accelerated. A new law will be drafted on preschool education, though it may take some time to formulate, he said. Zou Shuo contributed to this story.